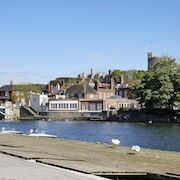 Windsor is a great place to visit only a short train ride and trains run every half hour. Clean with a perfect location. The grounds were kept beautifully. Overall very nice but a little on the expensive side. Staff were the highlight for sure. Lobby and afternoon tea and bar set up was lovely. Rooms lovely and quiet and clean. My room phone wasn’t working but a small thing. Breakfast was a bit of a disappointment with hard friend eggs, bacon over cooked but the fruit and yoghurt was good and coffee was hot. I would stay again. Where to find Windsor hotels near an airport? How can I find hotels in different Windsor neighborhoods? Where can I find hotels in Windsor that are near tourist attractions? When planning your Berkshire dream vacation, you can rest assured because there's a huge selection of great hotel and apartment options in Windsor. We currently offer no less than 49 places to stay within a 0.1-kilometre (0.06-mile) distance of downtown Windsor. Location is important when it comes to drama-free traveling, so check out the Macdonald Windsor Hotel and The Christopher Hotel, which you'll find a short distance of downtown Windsor. No trip to Windsor would be complete without taking a visit to the Windsor Castle. 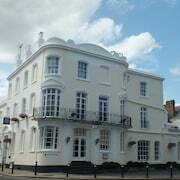 The Sir Christopher Wren Hotel and Spa and Castle Hotel Windsor MGallery Collection are all nearby. For somewhere to stay that is located nearby to the Frogmore House, you could investigate the Clarion Collection Harte & Garter Hotel & Spa or the De Vere Beaumont Estate. 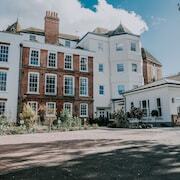 The Clarion Collection Harte & Garter Hotel & Spa is 1 kilometre (1 mile) away from the Frogmore House. 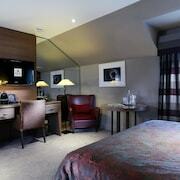 The De Vere Beaumont Estate is 3 kilometres (2 miles) away. Trying to identify cheaper places to stay? 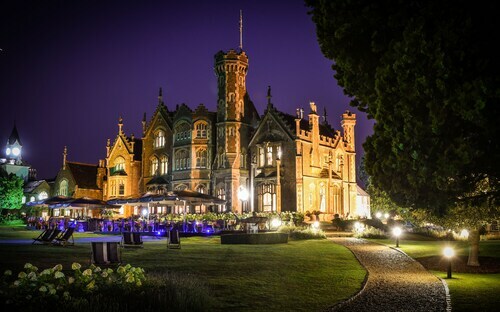 You may like to try the De Vere Beaumont Estate, Bluebell House and The Prince Albert - Inn. You could try the Cliveden and also the The Grove. The Cliveden is located 10 kilometres (6 miles) from the heart of Windsor. The The Grove, is 25 kilometres (15 miles) away. 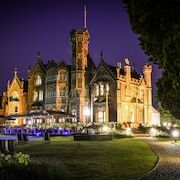 The Pennyhill Park Hotel And Spa and also the Danesfield House Hotel And Spa are alternative places to book accommodation around Windsor. Ascot is 9 kilometres (6 miles) to the southwest of Windsor and is home to the East Berkshire Golf Club and Royal Ascot Golf Club. If you'd like to spend a few nights in Ascot, check Expedia's booking pages for the latest deals at the Macdonald Berystede Hotel and Royal Berkshire, an Exclusive Venue. 12 kilometres (8 miles) to the southwest of Windsor, is Bracknell, which is home to the The Coppid Beech Hotel and Grange Bracknell. 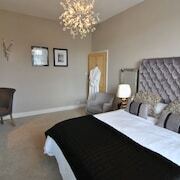 Should you choose to stay in Bracknell, make sure you visit the South Hill Park and Berkshire Golf Club. For travelers planning on arriving or departing via Heathrow Airport, you may choose to book some accommodation at Sofitel London Heathrow, or London Heathrow Marriott Hotel, which are both close. What are the most popular Windsor hotels? Are there hotels in other cities near Windsor? What other types of accommodations are available in Windsor? Explore Windsor with Expedia.ca’s Travel Guides to find the best flights, cars, holiday packages and more!